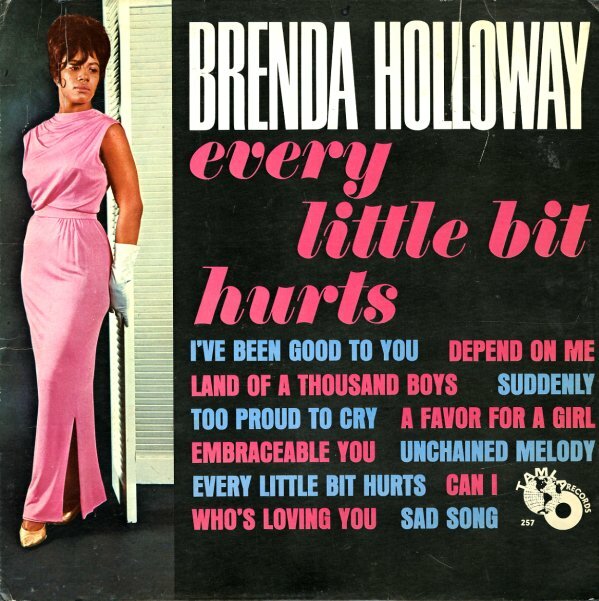 Classic heartbreaking soul from Brenda Holloway – one of the weepiest early records on Motown, as you might guess from the title! The style here is almost more New York uptown than Detroit at times – a fair bit like Maxine Brown with its mix of strength and fragility on the vocals, and scored by the Davis/Gordon team with a subtle sense of drama. Strings step in on most numbers, but never in a sleepy way – and there's plenty of nicely stepping tunes here that maintain a good sense of Motown rhythm, even in mellower moments. Titles include "Sad Song", "I've Been Good To You", "Every Little Bit Hurts", "Too Proud To Cry", "A Favor For A Girl", "Suddenly", "You Can Depend On Me", and "Can I". © 1996-2019, Dusty Groove, Inc.